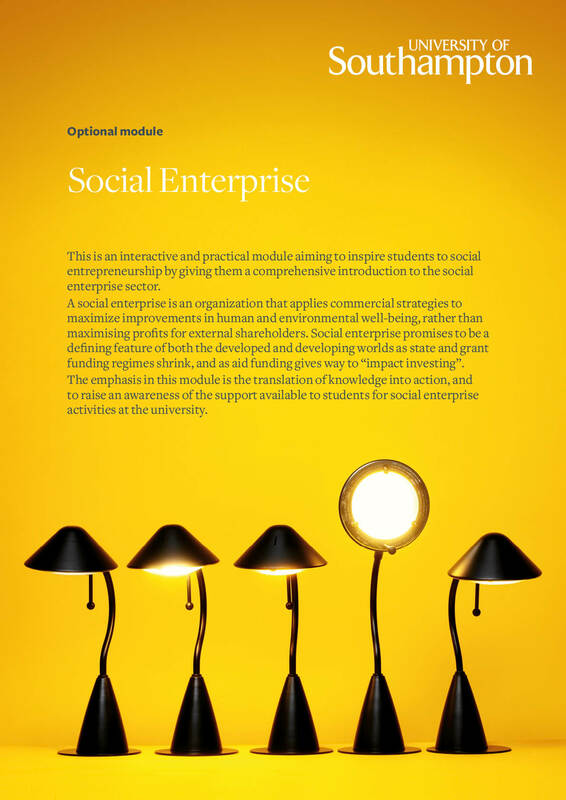 There are less than 16 hours until my Social Enterprise module kicks off for the first time at the University of Southampton. It’s fair to say I’m more than a little nervous! I’ve been teaching for more than 7 years now and I’ve enjoyed every minute of it. Feedback tells me that I’m not half bad either. This module is a different proposition, however. It’s intended to be an experiential introduction to social entrepreneurship and so while set the overall parameters and pace of learning activity, I’m ceding a lot of control to my students. This in turn places considerable emphasis on their motivation, organisation and initiative. The animating ethos of the module is human-centred design, diversity in innovation, visual thinking and fast failure. I’m trying to bring the latest thinking in social design to bear on the pedagogic techniques we use to progress our students through the various stages of the design process, so if you have recommendations and suggestions they would be gratefully received. I’m looking forward to growing a crowd-sourced curriculum! I’ve asked my students to keep a blog of their experiences as they progress through the module ( an exercise in personal branding) so it’s only fair that I do the same. Stay tuned for my reflections over the course of the next 12 weeks.